Summer came and went. It left behind a northwest parched by a succession of hot spells so extraordinary that even climate change deniers had their ‘come to Jesus moments’. Rain arrived, at last, in early October. The dire predictions retreated, forgotten along with admonitions to floss our teeth, avoid sugary drinks, and quit smoking. We are such a peculiar, comical species, us humans. We embrace moments of truth when it’s convenient to our self perception or our preferred politics. Unlike other animals, we can anticipate the future but rationalize away its consequences to justify poor choices. Just a boy and his wagon. In spite of the heat waves, winter is out there. 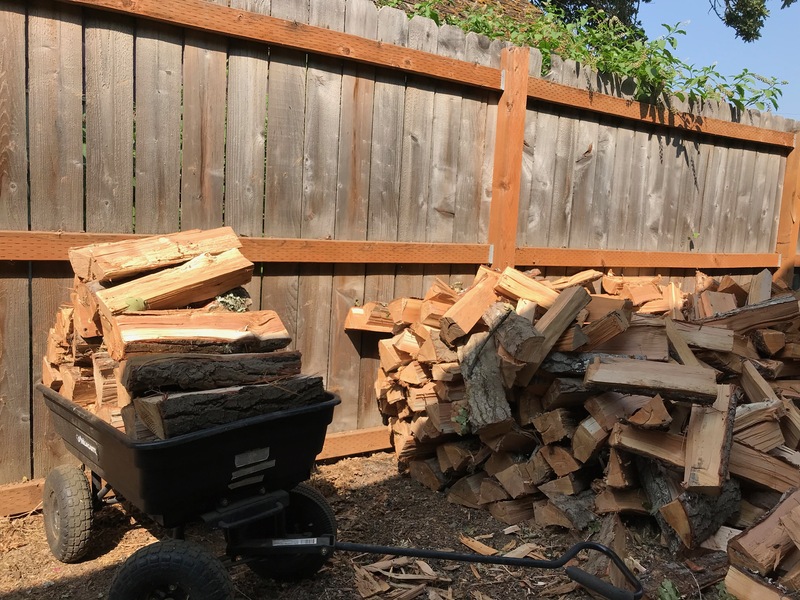 In May, when our government destroyed any pretense of social justice by separating immigrant parents from their children, I received three cords of wood. I chose to split it early so that it could dry during the summer. But, allowances had to be made for the oppressive heat. 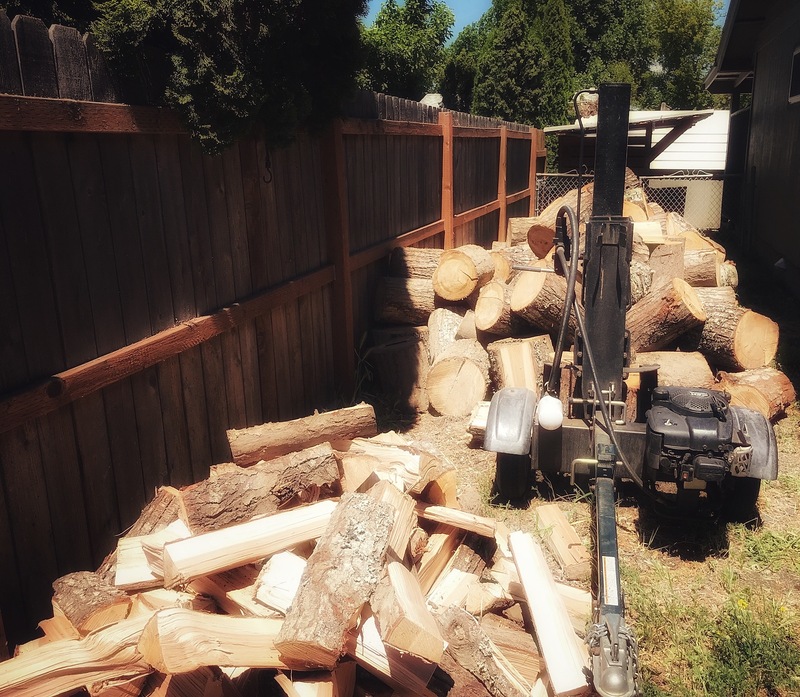 I limited myself to frequent morning workouts with the log splitter. I toiled in the shade and stopped well before midday. Finally, in September, I completed the tasks of splitting, drying, and stacking. Now, with the recent rain and cooler temps, I coax small fires in the wood stove each morning. At dawn, while warming my toes, I observe that the debacle over the new Supreme Court justice has reached a disappointing conclusion. Those who favor the confirmation resent the process that challenged their candidate. And, those who saw their protests ignored, lick wounds with bitter tongues. The only thing that unites us as a nation is our unhappiness with democracy. In the midst of these signs of social decline, including multiple criminal investigations into our president’s affairs, taxes, and electoral legitimacy, my wife and I joined with friends to tour Yellowstone and Grand Tetons National Parks. We saw buffalo, pronghorn deer, elk, bear, and a herd of humanity. The park accommodations are full even at the end of their season. Dinner reservations are necessary at the historic lodges and sometimes not available. Nonetheless, we reveled in what Ken Burns identified as “America’s Best Idea,” our system of National Parks. The four of us are relaxed travelers. We met over 40 years ago at a New Zealand National Park. Three of us are retired and the fourth partly so. We use that flexibility and free time to visit a National Park each year. These days, we are day hikers. Back packing lost its allure years ago. A good book, a relaxing chair, and a national monument’s lobby suffice for adventure on many an afternoon. Nonetheless, we did find trails that wound through the natural environment preserved by these parks. In the Yellowstone-Teton ecosystem, you needn’t venture far from a road to experience wilderness. So too, our country has not ventured far from the belief in compassionate governing. Currently, we find ourselves ruled by the chaos of cynical leadership. By choosing to indulge in the freedom of our prejudices, we have lost our way. Yet, a path back to decency and a government for all can be found. It goes through the voting booth. I hope you will follow it this November. Chop wood, carry water. Vote! Very thoughtful commentary. We, too, have visited Yellowstone and the Tetons along with Devil’s Tower and Mt. Rushmore, the last of which none of us liked. Our best find in that part of the world was Bear Country USA where so-called bad bears find refuge and orphan cubs are raised. It is a worthy and necessary organization. In closing, we will be headed to the polls and are hoping for a blue wave to begin the work of putting things in order.